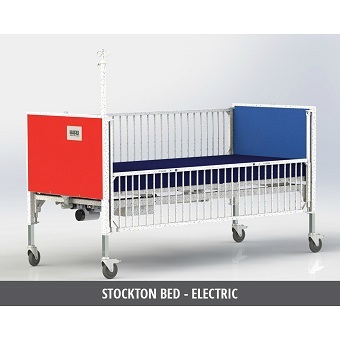 Pediatric Youth Beds are intended for use by patients with limited mobility who will not be at risk of climbing over the side rails and falling out. The manual Hi-Lo System provides the opportunity for more effective patient care and helps prevent caregiver back strain or injury. 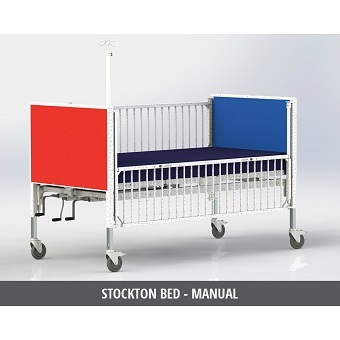 Pediatric Youth Beds are intended for use by patients with limited mobility who will not be at risk of climbing over the side rails and falling out. The electric Hi-Lo System provides the opportunity for more effective patient care and helps prevent caregiver back strain or injury.